I quote two instances in my recent past, before I get to the crux of the matter of identity, so as to help you understand better what these labels we assign to ourselves is doing to us. Instance 1: The other day I was having a conversation with a friend. The aforementioned friend takes flight at the first mention of commitment to anything, but as long as you don’t creep her out with that particular word, she will take complete responsibility for both her work and her relationships, and goes as far as she can to get the work done, and make the relation last. The minute you mention “committing” to a task, however, she is deeply uncomfortable, she won’t make any promises; she will withdraw, and even break a few promises. Instance 2: The second friend in question is a lady who doesn’t trust people easily. She doesn’t trust them soon enough -in fact, it takes her about three to four years to trust a person to the extent that, her new friends should stick through for those many years, proving themselves time and again worthy of her trust. The label she has is it takes time for trust to come, and her friends must be ready for the test of time if they indeed want to be a friend. The girl in the first instance probably had a negative experience with commitment at an early age in life, or she has failed a commitment which she deeply regretted later and vowed never to commit again, or the environment in which she was brought up simply made her dislike commitment because that would demand more out of her than she could ever possibly give. 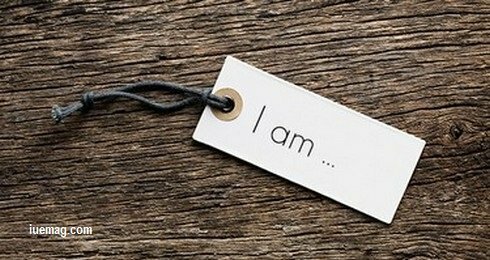 Whatever the case may be, a single strong incident, or a series of incidents in continuum, or an environment of upbringing for years, made her choose a label for herself, that she wouldn’t make the mistake of committing. Is the label serving a worthy purpose? Now coming to the second instance -One might agree that it is normal to not trust people within the first hour you’ve met them, but if one is going to take an average of three years to let people be friends, it really is a lot of time for very few people. And what if people behave like people, and fail some expectations after three years? What if they do something the lady never thought they’d do, which is anyway how people are most likely going to behave? Is the label of ‘I won’t trust people for a fixed number of years’ serving a worthy purpose? Given that these instances don’t relate on a personal level, it might be possible for the discerning reader to agree, quite easily, that the labels my friends are using are pretty wrong, and not serving them the highest purpose. It might be easy for you to point out exactly what’s wrong in those labels, and satisfy yourselves that you aren’t caught up in these. The surprising fact is: ALL of US have such labels. Yes you, my reader, and me. You and I have such labels that we identify with. And they are NOT serving us our highest purpose. “I’m not somebody who forgives easily.”- Why, isn’t one lifetime too short to hold on to grudges? Is pride more important than peace? “I won’t be the first person to talk, if someone talks to me, I’ll just reply.” – Who wants to put themselves out there, and maybe get rejected? Why not? So if somebody doesn’t respond, why should that bother you anyway? “I’m not a person who can be okay with my friends drinking, since I don’t drink. That’s not me”. – If drinking is not okay with you, why is responsible drinking of friends not okay? Your freedom ends where my nose begins, but who’s to say what’s right or wrong? There is no absolute truth. “I’m not going to be the first person to say sorry. So what if part of it was my fault, part of it was his as well”- Of course, you’re the high and mighty person, what is one person to lose in life, right? WRONG. “I don’t have EGO!” Ha! Anyone without any ego, you wouldn’t have thought of mentioning it! “I don’t like to gossip” – Gossiping about gossiping. That’s how smart our mind is. “It is against my principle to lie” – What is the definition of “truth” in the first place? And perhaps, the BIGGEST falsity, the mask, the label we all hide behind: Our professions. “I am a doctor, engineer, lawyer, CEO…” – Don’t ever confuse what you make for a living with life itself. What you do for livelihood should never get in your way of life. Sit down for half an hour, and identify all the labels that you have given yourself, and slowly remove those labels. Just for simplicity in life we attach labels, to identify amongst the others, the birds of a same feather. Why do you really need that identity? Who are you? You study a field and call yourself a doctor or a lawyer or an engineer or a CEO; you renounce and call yourself a saint; and you sin and call yourself a sinner. You mold and call yourself a mentor; you play for the country and call yourself a sportsman. You kill animals and call yourself a butcher; you carry out rallies for causes and call yourself an activist. You are neither a saint nor a sinner, nor what you do for a living. You are infinity and zero at the same time. You are the universe and the vacuum, you are matter and antimatter. You are God and the devil, heaven and hell, you are everything and nothing, and if you can understand this, you will have realized who you are.